I’ve been quilting for years. From learning a new pattern to attempting a new free motion, it never gets old, especially when you end up with a stunning finished product. One stitch that I feel like doesn’t get enough love is a simple circle. 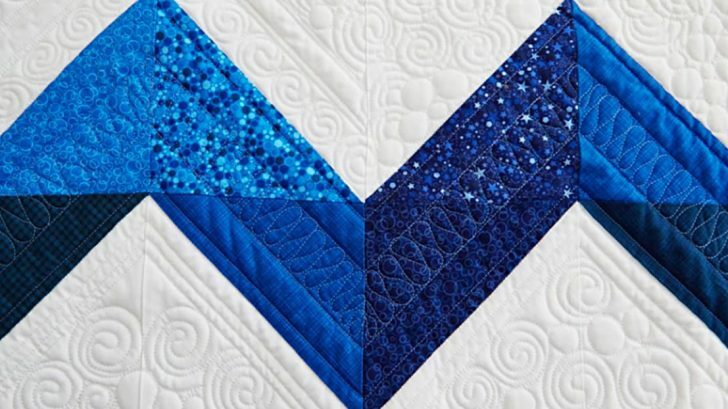 It can do so much for a quilt, but it can be incredibly difficult to execute… until now. Believe it or not, there are a few simple hacks that make quilting perfect circles an absolute breeze. Learn how to do it, and you’ll be stitching circles every chance you get! Marie Eldredge, a studio quilter from Handi Quilter, shows us tips and tricks on how to quilt those perfect little circles on any project. The video tutorial from All People Quilt is super easy to follow. The main hack used to quilt circles perfectly may not come as much of a surprise to you: using a template! You could also use some grip strips to hold the template in place as you quilt. You’ll continuously slide the ruler over to create channels of circles, leaving about 1/4″ on each, just like Marie shows. Be sure to use the ruler on the template to line it up perfectly as you go. You can use this method to create perfect circles, gorgeous swirls, and so much more. These stitches look great on a wide variety of projects, so once you start, you won’t wanna stop! Want some more tips and tricks? Watch Marie stitch up a gorgeous pattern in the video below. From there, you can get started on stitching your own.